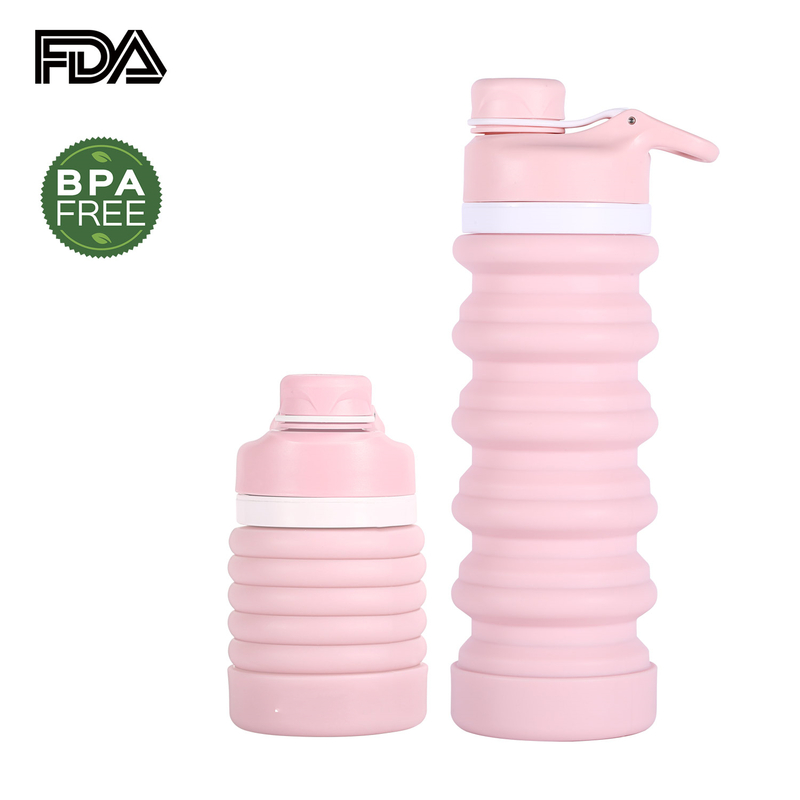 【Healthy and Safety】Made of BPA free, food-grade platinum silicone and 100% FDA approved to ensure safe drinking as well as no stinky odors or tastes. Safe for hot liquids up to 248°F (120°C) and cold to -58°F (-50°C). Note: We do not recommend using the bottle for liquid temperatures higher than 140°F (60°C) to avoid burning your hand while holding it. 【Leakproof and Easy Clean】Easy to seal tightly and Wide-mouthed design makes SPORFEEL traveling water bottle easy to clean the interior or add water and ice. When first using it, we advise to pour some hot water in it stay about 2 Hours, then pour the water out fill with your favorite drink. 【12 Months Manufacturers Warranty】Customer Service and Satisfaction is Our #1 Priority. If for any reason our product doesn't meet your standards, please contact us, we will replace it for you without any question asked and any additional charges. 【EASY TO CARRY & STORE】If you are a regular on-the-go guy who spends most of the time outdoors and wishing your bottle to be easy to carry, you will definitely love SPORFEEL collapsible water bottle. With the collapsible design you can expand and compress the bottle as often as you need, without compromising its rigidity. This silicone water bottle collapses to about a half of its size when you're done drinking for easy transport, takes little space so that you can put it in your backpack. 【DURABLE & LIGHTWEIGHT】Lightweight collapsible design with hook allows for quick & easy storage while traveling or adventuring outdoors. This collapsible water bottle is tough enough to survive drops with its flexible, shatter-proof silicone body, ensuring you stay hydrated during the journey. This foldable water bottle stands only 5 inches tall when fully collapsed, while it stands 9 inches tall when expanded. Great for Traveling, Gym, Yoga, Camping, Hiking, Cycling, Climbing, Snowboard.